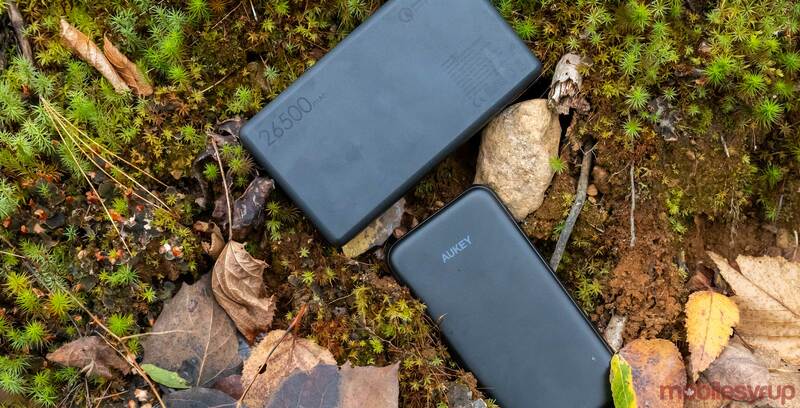 I recently went on a five-day hunting trip in Northern Ontario, giving me the perfect opportunity to test out two of Aukey’s newer portable battery packs. I tested two power banks, the PB-Y7 and the smaller PB-T18. Both of the bricks came in handy way more than I’d care to admit, and now I’m not sure If I can ever go back to not carrying a backup battery with me. 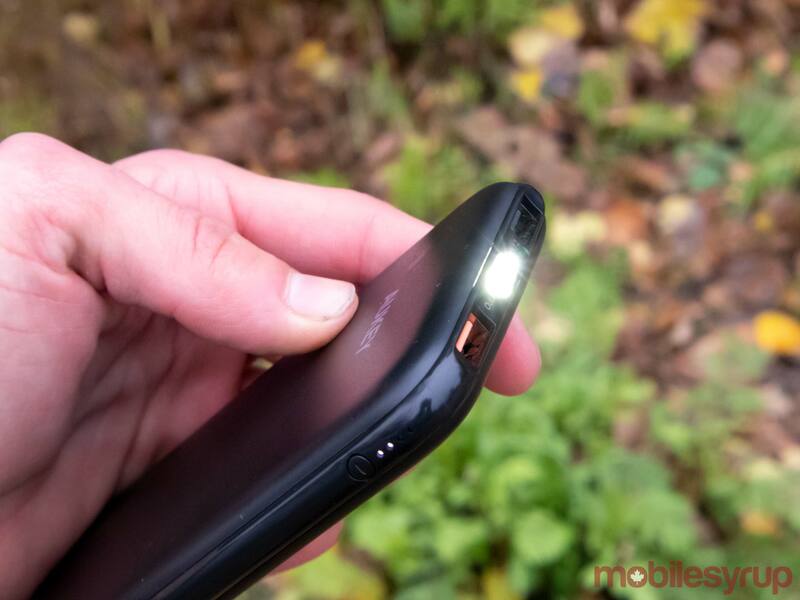 I was able to use the 10,000mAh PB-T18 almost every night to charge my phone and my wireless headphones, and having the built-in flashlight was also incredibly useful. 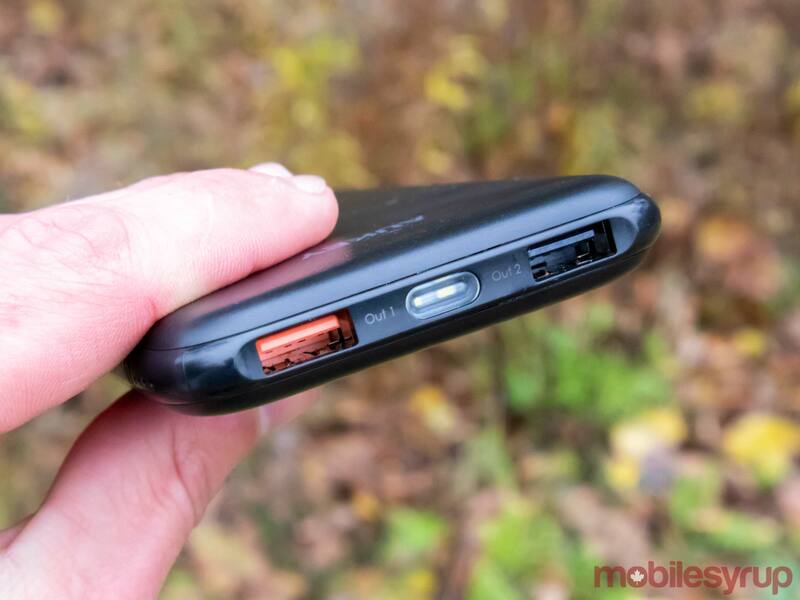 The PB-T18 charges via micro USB, and it features two USB-A ports that output power. The orange port supports Qualcomm’s Quick Charge 3.0, which means if your device is compatible with a faster charging standard it can be replenished much faster. The Quick Charge ports support devices that use 5V–6V 3A, 6V–9V 2A and 9V–12V 1.5A inputs. Sadly after a few days, thePB-T18 lost its charge, but that’s where the Pb-Y7 came in handy. 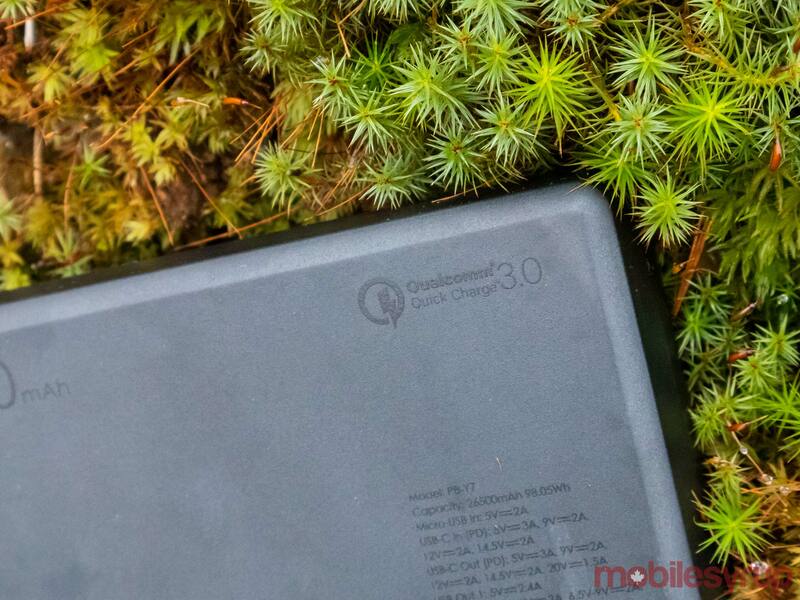 It’s a monster of a battery coming in at 26,500mAh. The larger battery features three charging port: two USB-A slots and a single USB-C input. The USB-C and one of the USB-A ports also support Quick Charge 3.0. The USB-C port doubles as an input for charging the battery and an output for charging your devices which is pretty valuable. If you don’t have a USB-C cord, or you’ve lost the one that comes with the machine, it also charges via micro USB. The PB-Y7 lasted the entire trip and more, and I can’t even count how many devices were plugged into it throughout my time in the woods. The only drawback is that it takes 16 hours to charge, which makes sense since it’s so big. This also means that once it dies it’s out of commission for pretty much an entire day. Each battery features four lights on the side that indicate how much charge remains in the battery pack. Each light represents a quarter of the battery’s charge. On a side note, both of the battery packs were able to charge the Nintendo Switch while it was turned on and playing a game. The PB-T18 costs $35 CAD and the larger PB-Y7 is priced at $75.